ProSwim is proud of every swimmer and in specific of. When I’m swimming, i loosen up, i forget everything happening in my private life. Started with ProSwim in 2013, at 10 years old. My first competition abroad was in France 2013. (4 gold and 5 sliver medals) . 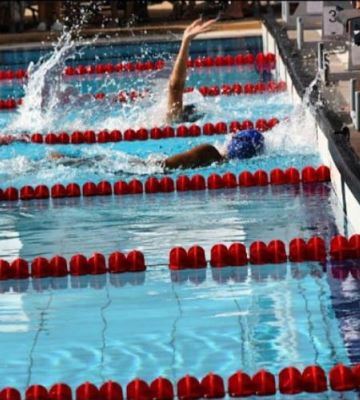 For me, swimming is a way to express myself. The last few years with ProSwim, i learned the true meaning of “TEAM” . They represent my second family. I started with Proswim in 2015. I felt like I wasn’t good, and wanted to quit. With the help of my teammates and my coach, I pushed beyond my limits and achieved more than I’ve ever thought I could. I learned that « giving up is never the answer ». I broke records, won medals... I couldn’t be more grateful and proud. I learned that swimming isn't just a sport, it is a lifestyle. 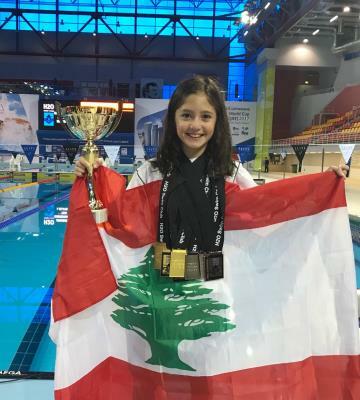 I started swimming with ProSwim when i was 11 years old; 6 years later i broke 4 lebanese records and countless individual medals. I keep on learning a lot throughout this journey but most importantly i learned that swimming isn't just a sport, it is a lifestyle. 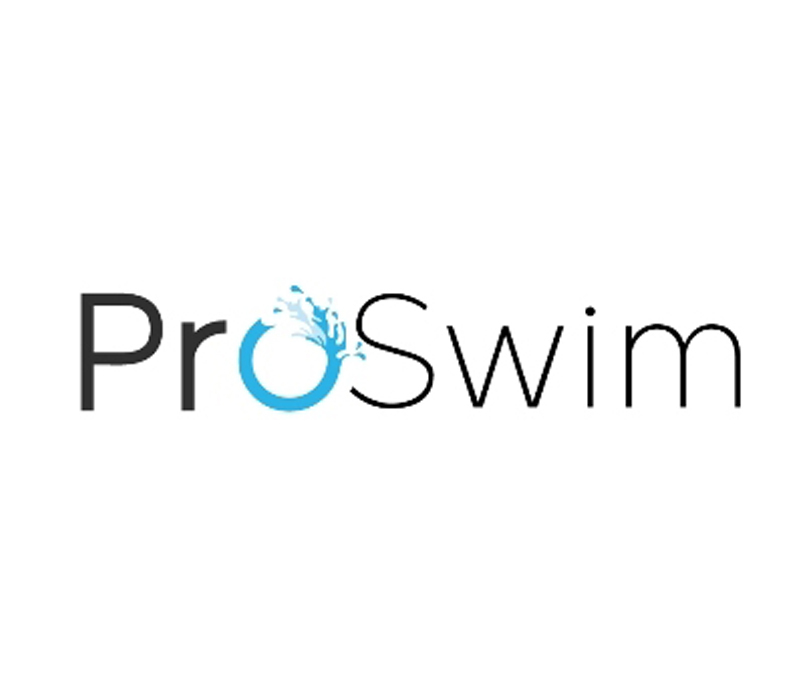 With ProSwim i realized that it is everything not an individual sport; its a team sport. I started swimming when I was 4 years old. Swimming has always been my passion. I joined Proswim in 2016, not only because it’s the best team in Lebanon, but because they have a family spirit that no other team has. Swimming is everything to me, and I’m glad to be part of this wonderful team. And still the dream is getting bigger and bigger with this awesome team. Ever since I was a little girl, I was passionate about swimming. I started swimming at the age of 6 and I was always eager for better results. When I joined Proswim, the accomplishments, record breakings as well as family team spirit fulfilled a huge part of my dream as a swimmer. Youngest ever to cross 850m in saida sea from its island. I started swimming when I was 4 years old. I was the youngest to ever cross 850m in Saida sea from its island to the shore. 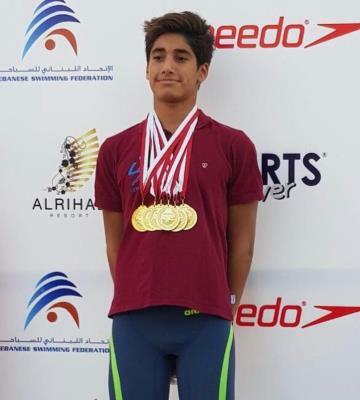 at the age of 7, I participated in several nationals competitions and was able to achieve amazing results with Proswim. 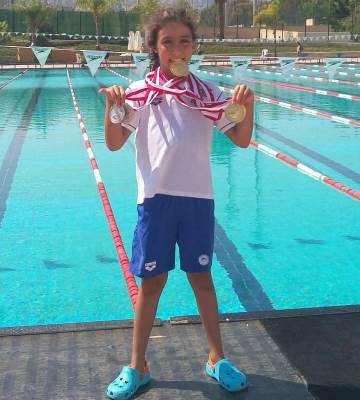 I broke 9 Lebanese records when I was 9 years old and got many medals. 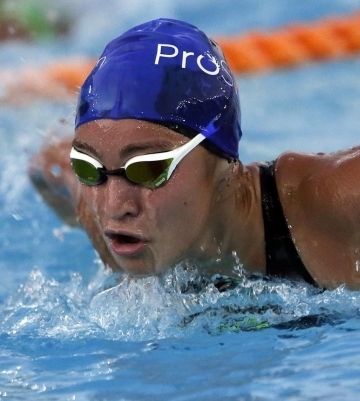 My ambitions to secure me a leading position in this sport lead me to join ProSwim. 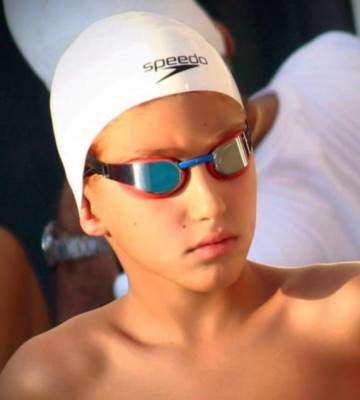 I am a young enthusiastic swimmer who started at a young age. 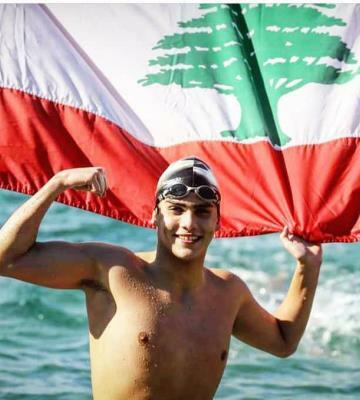 I come from Saida and my ambitions to secure me a leading position in this sport lead me to join ProSwim. 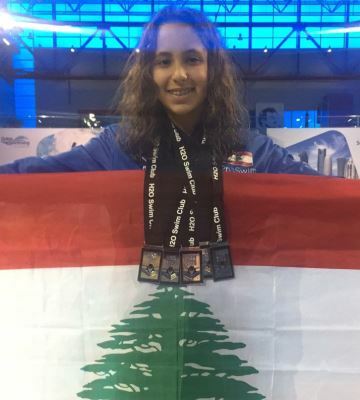 I broke 3 Lebanese records and participated in several national and international competitions. I have the competition spirit that makes me come from Zahleh to Beirut regularly. 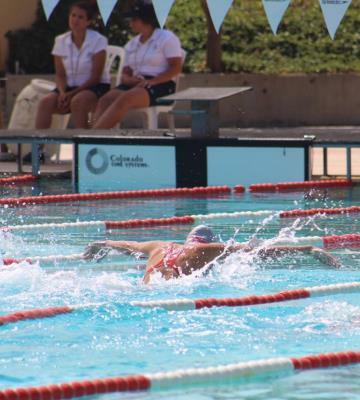 The more i dream in swimming the further i will get it because i love it... 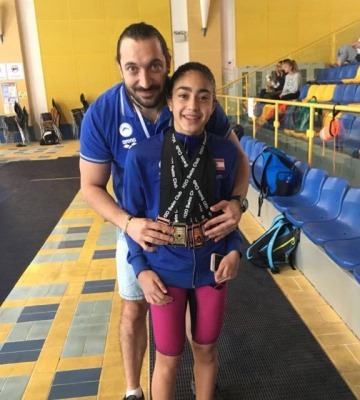 I have the competition spirit that makes me come from Zahleh to Beirut regularly to practice and here i am winning 5 medals.Thank you ProSwim and Najah club for the amazing guidance and i hope you will stay proud of me. I started swimming at 10 years old. I started swimming at 10 years old. I learnt butterfly technique alone and it became my favorite stroke since then. 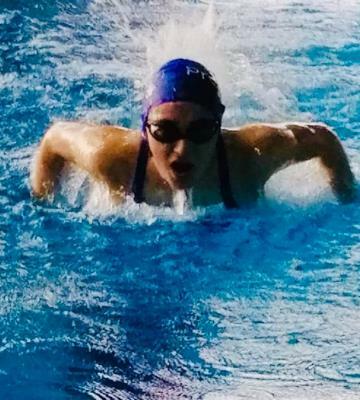 I moved to Proswim on October 2018, to take my swimming hobby to a whole new level and be able to accomplish my dream of becoming the swimmer I was meant to be and prove all my doubters wrong. When I swim I forget about all my problems and it reduces my stress a lot. I started swimming when I was 5 years old. 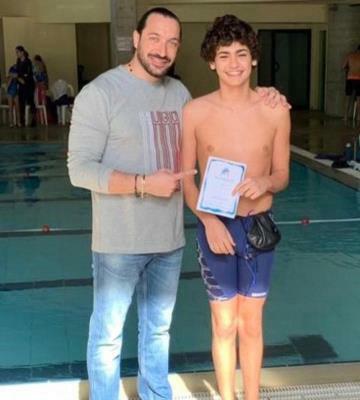 I joined Proswim in 2018, because I know that I will be training with the best coach in Lebanon, since all of his swimmers are successful. The coach makes us feel as if we are a family. When I swim I forget about all my problems and it reduces my stress a lot. Swimming isn’t just a sport it’s a lifestyle. They say: "Swimming isn’t just a sport it’s a lifestyle", Proswim makes this saying clear through the endless hours of dedication blood, sweat and tears throughout practices. With Proswim team I’m sure that I will meet my peak potential while having fun doing it. I started swimming when I was 10 years old. I started swimming when I was 10 years old. 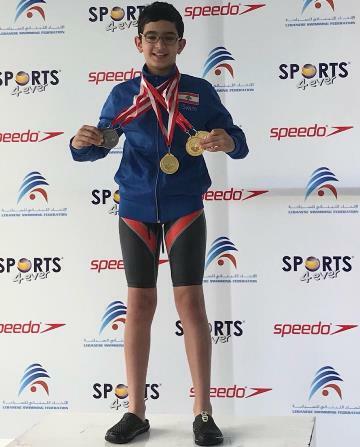 I moved to Najah swimming club at the age of 14. I broke 6 Lebanese records in 2017. I’ve always enjoyed swimming, I love the team spirit that we have, and I love the adrenaline rush I get before races. For me swimming is not a sport it’s a way of life. For me swimming is not a sport it’s a way of life. I started swimming in 2005 when I was 5 years old. Then came a time in my life where I wanted to quit swimming, but then I said I’ll give it another try and that’s when I joined Proswim. I haven’t thought about quitting since then. They are my Second Family Now. I swim to express myself. 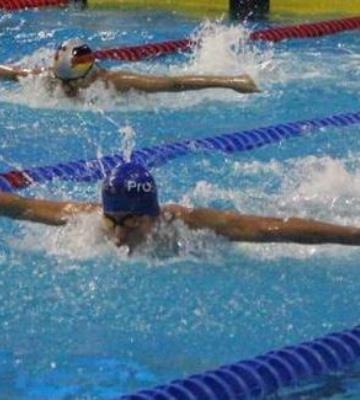 I want to be pro with proswim. I’ve been passionate about swimming for the past 6 years, and then, last year I joined Proswim family where i discovered my true skills and capabilities. I’m currently Working hard to become a champion each time I jump in Water. I was always doing my best to reach my goals . I Started swimming with pro swim at the age of 5, no one had ever believed that I am going to achieve one day . However , I was known for my determination and optimism . At age of 11, I was ranked 1st in my category. I became more confident that nothing is impossible . With the help of my coach and teammates , I look forward for more achievements.